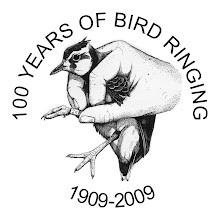 The past couple of winters have seen some severe cold weather, making life difficult for many bird species. The Barn Owl is one species that can be heavily affected, and we have seen reporting rates of dead ringed birds rise. 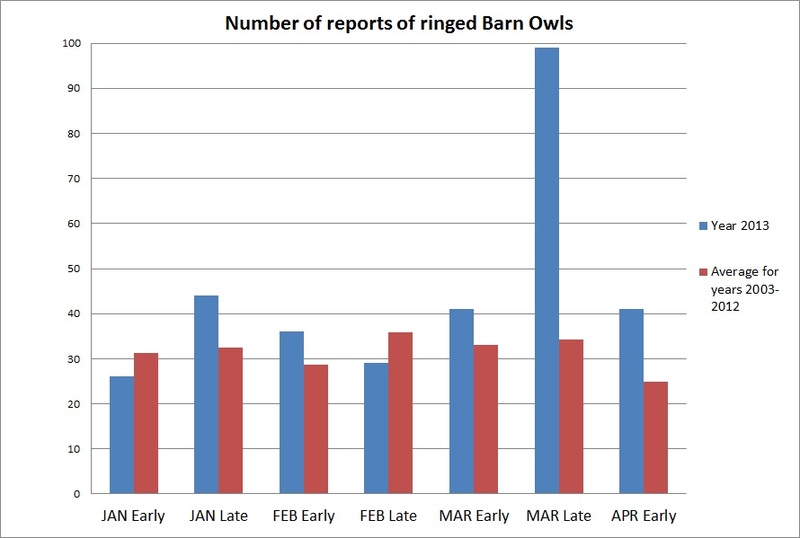 This usually happens earlier in the year but this year the reporting rate for late March has shown an exceptional increase, just when these birds are supposed to be starting to breed! At this time of year we normally receive reports of birds that have been hit by vehicles on the roads but this year a high proportion have been found emaciated close to peoples houses and allotments. This is a sure sign that things are not well in the countryside and food resources are very low. The graph below shows just how extraordinary late March 2013 has been. The figure is sure to rise for early April this year but we hope it doesn't compare to late March. 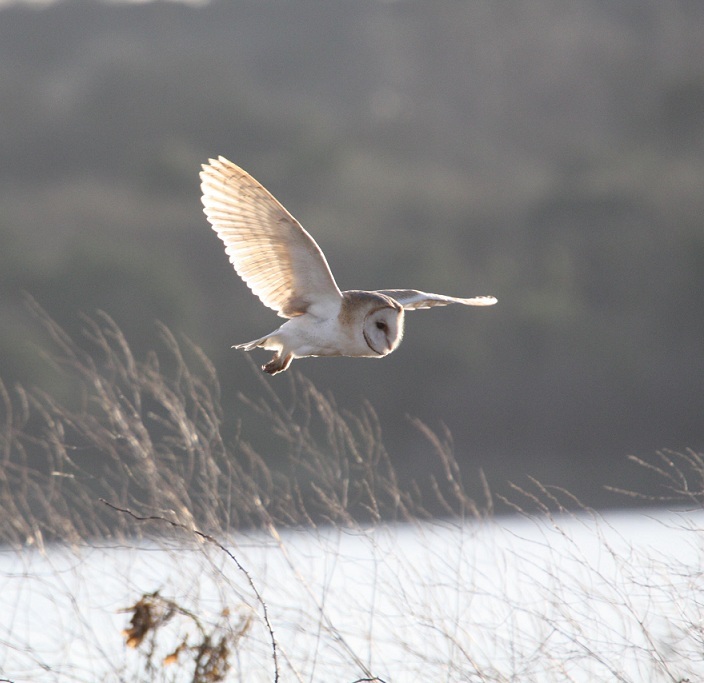 Deep snow, wind and flooding has hindered the ability for Barn Owls to find food. This will also be having an effect on other birds of prey that feed on rodents and small mammals. i have been watching a barn owl all winter hunting at quite a high altitude. luckily the recent snow drifted against drystone walls which allowed the grass to be accessible for hunting. i was pleased to see the owl tonight again apparently fit and well.